Enhance soybean extension efforts in Ontario to ensure growers have access to the most up to date information. This project focuses on three main areas: Improved Information Gathering, Enhanced Extension Efforts, and Breaking Issue Support. The development and display of demonstration and research trials provides farmers and agronomists information on production strategies that was gathered and assessed to update best management strategies in soybean production. The accessibility of timely, high quality information enables producers to make informed in-season management decisions. The development and printing of the Ontario Soybean Field Guide and in the development of the soybean chapter in the new Agronomy Guide is an example of how the project supported extension efforts. 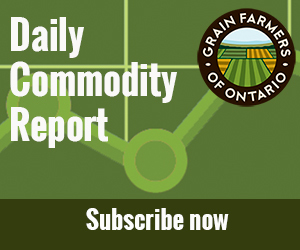 Agricultural extension (technology transfer) is a key component to ensure the ongoing competitiveness and sustainability of the Ontario grain sector. 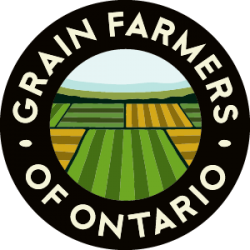 Agricultural Extension has a strong history in Ontario dating back to the establishment of the Ontario School of Agriculture at Guelph in 1874. Agricultural Extension is a general term referring to the education of farmers and agronomists with respect to the application of scientific research and new knowledge to agricultural practices. The first Agricultural Representatives were hired by the Department of Agriculture in 1906. Since then there has been a strong collaborative extension effort in Ontario. Today, the rapid development of new technologies drives the need for continued extension in the province. Extension is an area which is often difficult to support financially from either direct OMAFRA or external funding sources. This project is dedicated to improvements in Agricultural Extension and is focussed on three main areas: Improved Information Gathering, Enhanced Extension Efforts, and Breaking Issue Support. Initiatives supported with the Enhanced Extension Efforts include: Phosphorus and potassium management, double cropping soybeans, foliar fungicide timing, soybean row width strategies, etc.